Celebrate National Pet Day with the pets of Andi Mack! Every day it seems like it's National "Something" Day. There's so much to celebrate! Today is one of those days: National Pet Day. We can't think of a made up holiday *more* worth throwing confetti over than this one. I mean, who *doesn't* love loving their pet?! 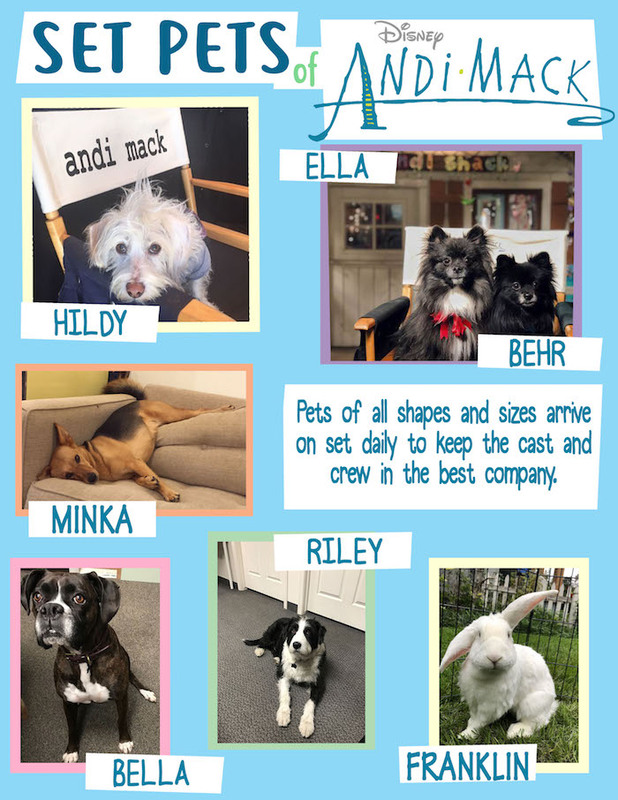 We also love seeing other people's pets, like the adorbs cuddly friends that frequent the set of Disney Channel's Andi Mack. + Peyton Elizabeth Lee (Andi Mack) has two cats—Prince Hobo and Jasper—and a dog named Maisy! On how she got one of her pups: "It was Christmas time and the whole family went out to get a Christmas tree. On the way to the tree farm, there was a dog shelter. We weren't planning on getting a dog, but we just wanted to look. We ended up falling in love with a little brown puppy, and before we knew it we walked out of the rescue facility with a St. Bernard puppy!" + Lilan Bowden (Bex Mack) has two cats, Doc and Peanut. Fun fact: Lilan adopted her cats *right* after she had gotten the role of Bex and moved to Salt Lake City, where the show is filmed. + Sofia Wylie (Buffy Driscoll) has a dog named Baby Violet. "Baby Violet is a teacup Yorkshire, and she is the cutest dog ever!" 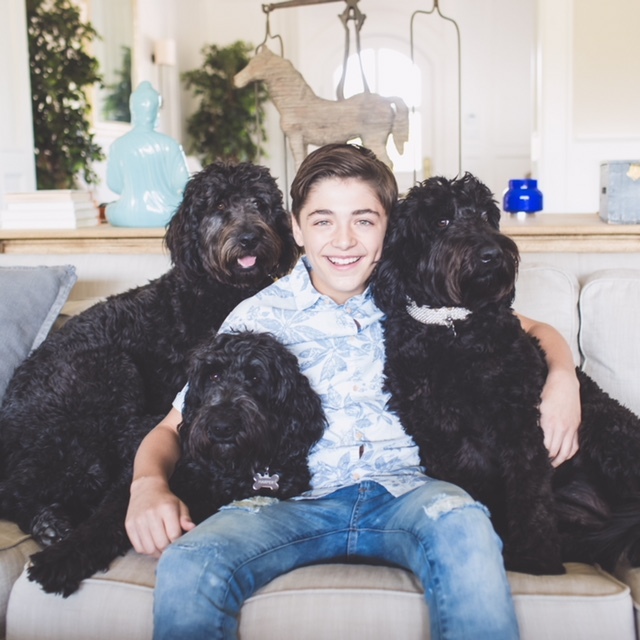 + Asher Angel (Jonah Beck) has two golden doodles, Monet and Harper, and two cats, Mali-blue and Jasper. His fave memory involving his pets? "When my mom flew with me to Las Vegas and surprised me with a new puppy," he says. 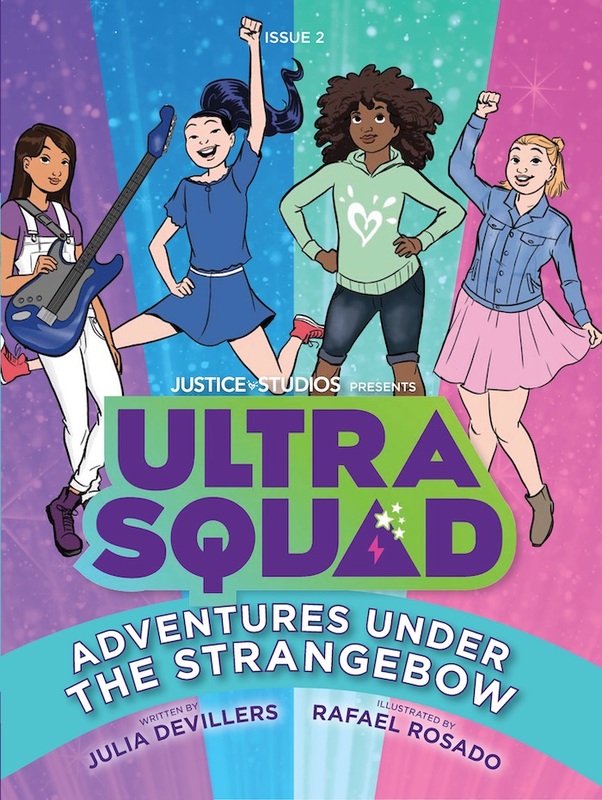 "What an incredible and memorable adventure!" Do you have any pets? How are you celebrating National Pety Day? Share in the comments!